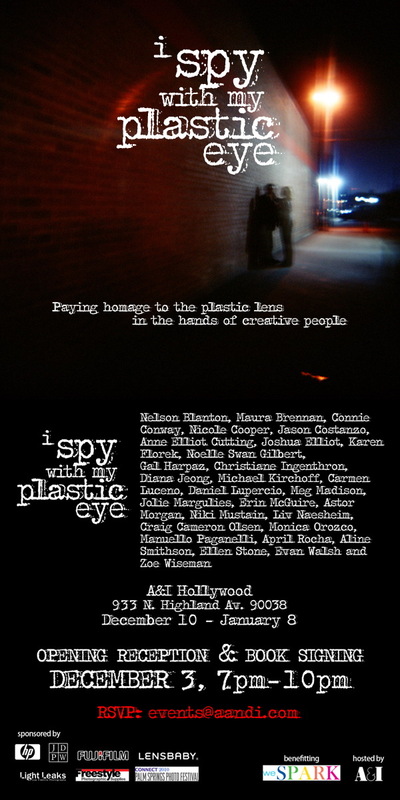 Last night I attended the gallery reception for an exhibit I am a part of -- I Spy With My Plastic Eye. The exhibit pays homage to the plastic camera and my print "Childhood Memories", shot with my Holgaroid, is one of many amazing images in the exhibit. I feel so honored that I was asked to participate in this show. The exhibit is at A&I Hollywood and benefits WeSpark, which provides free cancer support services. A fine art book sponsored by HP is available for sale, featuring all images from the show with shot details and artists commentaries. The book is $40 and you can purchase it by clicking here. 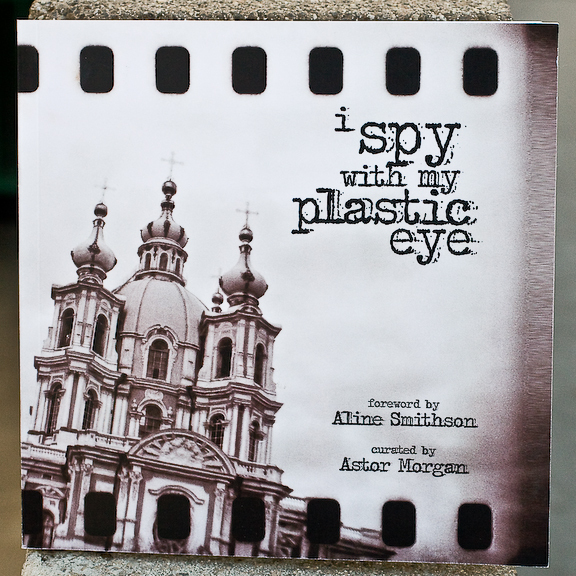 I Spy With My Plastic Eye is an exhibition visualized by photographer Astor Morgan. 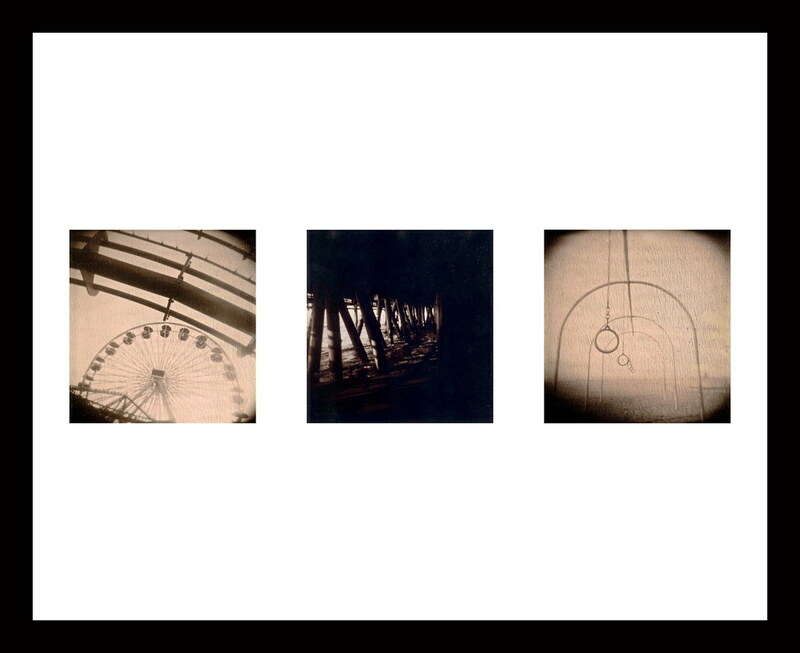 The exhibit, brought to life by A&I, is a testament to the unique qualities of toy cameras. Each artist approached their imagery with a singular voice, using a variety of film types, techniques and cameras. The photographs in this book speak of gesture, of time passing, of simplicity and complexity, allowing for a wide range of expression. And all of this magic has been captured through an inexpensive plastic lens, part of an inexpensive plastic camera that inspires discovery and serendipity. And that is the best part.